The Barton Planetarium received a full “re-boot” in April of 2014. The centerpiece of the renovation efforts is a new high-definition digital projection system for the 360-degree dome. The upgrade allows the 60-seat facility to be used for educational videos, interactive learning games and much more, in addition to the traditional projection and animations of the night sky. Most recently, the Barton Planetarium launched a series of semi-weekly free shows on Monday nights. Want to attend? Check out the list of dates and times. The planetarium can also be reserved for private use. 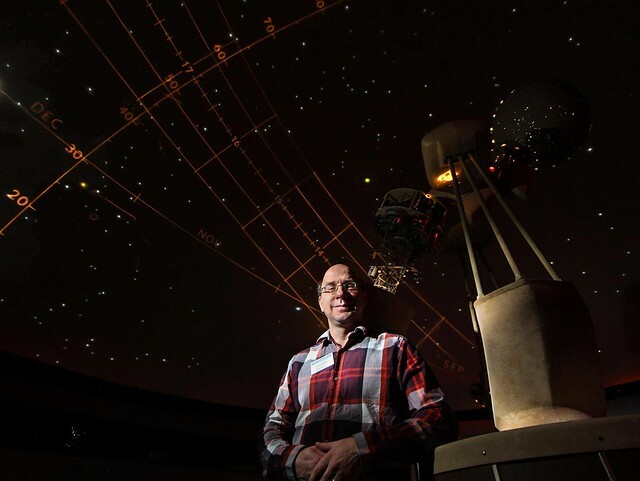 Contact Planetarium Director Tim Folkerts at (620) 792-9320 or folkertst@bartonccc.edu.